The National Transportation Safety Board (NTSB) has released its preliminary report on the analysis of the May 15th aircraft crash at Teterboro Airport (TEB) in northern New Jersey. 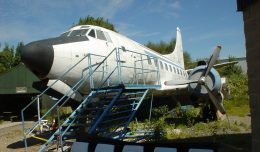 The incident claimed the lives of the pilot and first officer and destroyed the airplane, a Gates Learjet 35A, N452DA, upon impact. 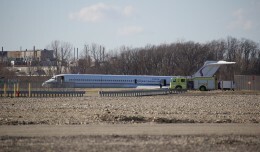 No passengers were aboard the flight. 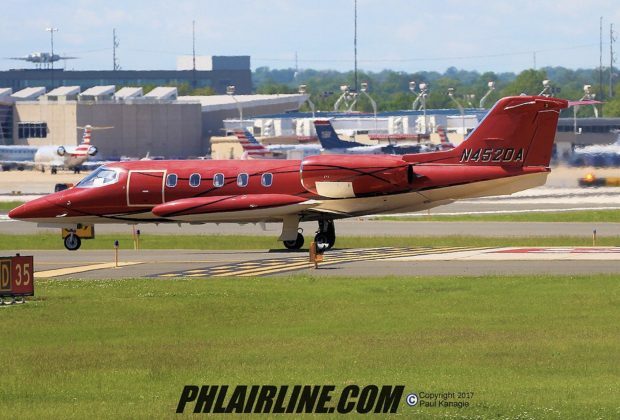 The plane was inbound from Philadelphia International Airport and registered to A&C Big Sky Aviation LLC and operated on this by Trans-Pacific Air Charter LLC under Part 91 regulations for General Aviation (not-for-hire) operations. A preliminary report typically lays out the known facts, but does not attempt to determine a cause or specific fault. Because of the heavy wind, an approach called a “circle-to-land” was used where aircraft would align with Runway 6, and then once clear of conflicts with Newark’s airspace, would make a right turn over the Meadowlands area to align with Runway 1, which faces more directly into the wind. The report notes that this right turn began very late compared to standard procedure and other airplanes that had flown the approach previously. Steep bank angles increase the risk of an aerodynamic stall, where airflow over the wing is not sufficient to generate lift. 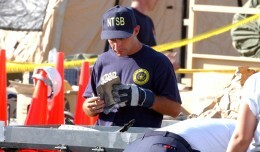 The aircraft’s cockpit voice recorder, along with four other aircraft components were recovered from the scene of the crash. The NTSB report identifies the four devices as: “2 Honeywell N1 Digital Electronic Engine Controls (DEEC); 1 Flight Management System (FMS); and 1 Honeywell KGP-56 Enhanced Ground Proximity Warning System (EGPWS).” Additionally, an iPhone was recovered from the wreckage as well. All non-volatile memory storage devices and the iPhone are reported to have sustained impact and fire damage. 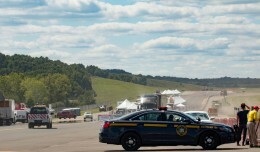 TEB has a known reputation for being a difficult airport for aircraft landings, and many experienced pilots have shared cautionary tales about the airport’s “tricky” approach. While much conjecture can be offered by those that were not aboard the flight, it will be the NTSB’s final report that offers the definitive analysis of the loss of N452DA. Photo by Paul Kanagie, phlairline.com. Used with permission.